Just stoppin' quickly this morning before I head to work to share a card I masculine card. I just recently purchased this stamp set from my favorite crafty place (PaperTrix) near my folks. This card will be perfect for my husband on father's day! The card was pretty simple. I colored and fussy cut the hero. Before adding him to the base I used some copics for shading so that he would look like he was hovering slightly off the card. 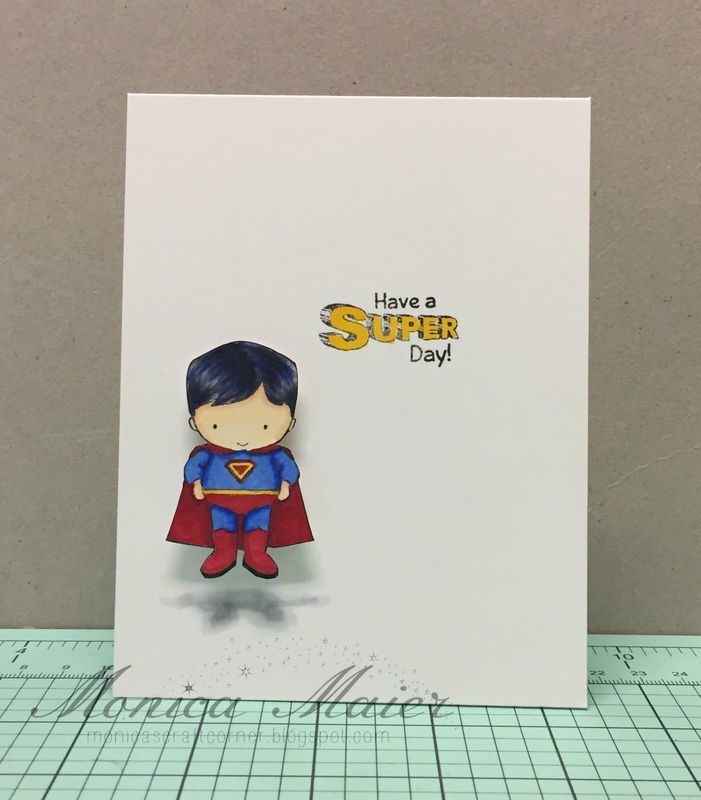 Stamped the sentiment, added some yellow to it then adhered the hero to the card using foam tape. A fantastic CAS card Monika, I love the lovely coloured cute image and stunning sentiment!! Great super hero card !